According to the National Institute of Mental Health, more than 6 million Americans over the age of 65 suffer from depression. A large percentage of those cases, though, are never identified or treated. One of the problems in diagnosing depression in an individual over 65 is that it does not look the same as depression in a younger person. 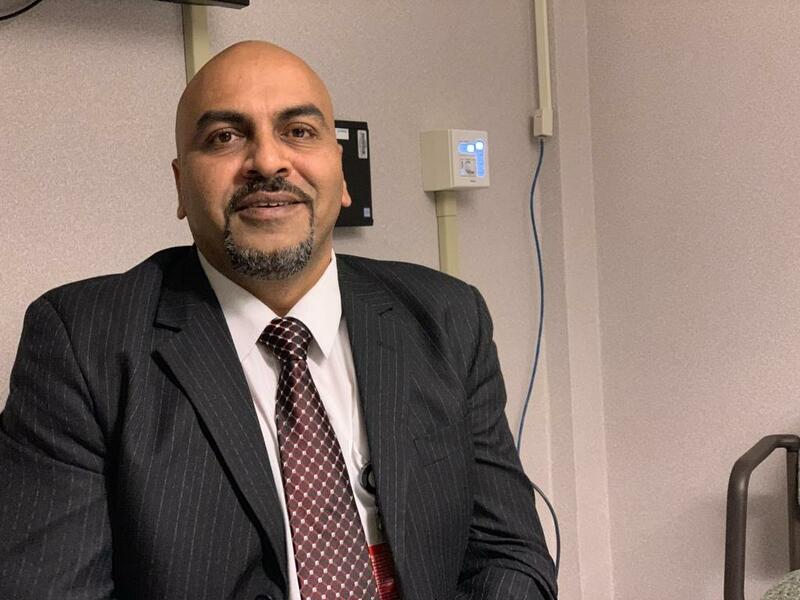 Dr. Tarun Kumar, a Syracuse psychiatrist, said younger adults will often come to a health care professional and identify themselves as depressed with a list of reasons why: they have lost interest in hobbies or do not like going out with friends. Signs of geriatric depression are more general. "Elderly patients will usually present with symptoms like insomnia, which is lack of sleep," Kumar said. "Or they might be more anxious or fidgety, or they might even come up with some somatic complaints like physical complaints, pain, some GI symptoms. Those kind of symptoms could be the first presenting symptoms of depression." There is also a reluctance among elderly patients to talk about their feelings. Sharon Brangman, chair of geriatrics at Upstate University Hospital in Syracuse, said the stereotype of a grumpy old man is one of the ways misconceptions about aging keeps depression out of the conversation. "We have a lot of stereotypical thinking about aging, and that’s not really the reality," Brangman said. "And then, we have older adults who seem to think depression is some sort of weakness and they should grit their teeth and labor through it." Dr. Tarun Kumar is a psychiatrist based in Syracuse, N.Y. Yet, depression among the elderly can have devastating effects. For example, it can co-occur with other illnesses and make them worse, Kumar said. "They don’t see any point in living, so they’ll be like, 'Why do I need to take so many pills every day to survive?'" Kumar said. "They stop taking medications, which worsens their medical and surgical problems." Suicide is the most drastic byproduct of depression, and it is prevalent in older individuals. Kumar said the second highest suicide rate in the United States occurs in people over 85. "Elderly people, they attempt less suicide, but they complete more, actually, compared to the youths – that has always been there," Kumar said. "So, we should take those things seriously into account so we don’t lose lives." Depression can be successfully treated in people of an older age group. Brangman said there are a number of strategies if it is diagnosed. "Talk therapy is a good one, socialization, simple exercise like walking, maybe walking with another person, a friend. That’s a double bonus, so you get exercise and socialization," Brangman said. "And there are pills that are available. A lot of the older people are afraid of the pills thinking that they are going to become dependent on them, which isn’t true, or they’re going to change their personality if they take them, which isn’t true. There are a number of medicines very similar to what we give to younger adults that are very effective." Joining a day program for seniors at PACE CNY in North Syracuse turned out to be a lifesaver for one central New York senior. Jean Bailey said she was very depressed when she moved to the Syracuse area. "Because I have no family here, I came from Vermont," Bailey said. "And so, I was sitting at home feeling bad – you know, people do – and a lady in my building had said, 'Well, how about coming to PACE?' I never heard of it. So, I said, 'OK. I’m up for trying anything once at least. So, I said 'OK.' I love it. I come five days a week. So, it does help depression." PACE social worker Lareea Chisholm sees this play out a lot at the day program. She said the socialization aspect of reducing depression cannot be minimized. "For one person, that might work, coming to the day center more to socialize with peers and feel like they’re wanted and needed and have support from other people that might be going through the same thing as well," Chisholm said. In the end, the most important thing to remember, Brangman said, is depression is not a natural part of aging. "We can’t just say, 'You’re older. You’re cranky. If I lost my spouse, if I never saw my grandkids because they live far away, I’d be depressed too,'" Brangman said. "There should not be any rationalization for these feelings. They need to be evaluated and treated."